Description: Some 13,000 years ago, as the glacier receded from the ocean waters, the melting waters slowly and steadily cut away the bedrock ridge that has become Vermont’s most spectacular natural wonder, Quechee Gorge. 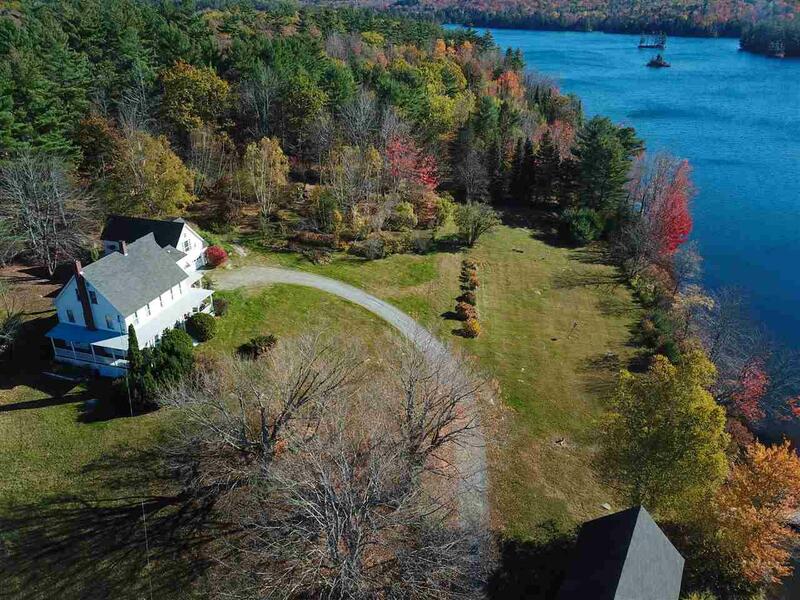 Enjoy beautiful vistas 168 feet above the Ottaquechee River, have a picnic overlooking the waterfalls or get something to eat at the snack bar. Enjoy hiking or walking the trails along the mile-long chasm. Description: The Storrs Pond Recreation Area is operated by the Hanover Improvement Society, a 501(c)3 nonprofit organization. Storrs Pond is located only minutes from the Town of Hanover, New Hampshire and Dartmouth College. The Area features scenic woodlands, a man-made 13-acre pond and two sandy swimming beaches, a heated swimming pool, tennis courts, basketball court and picnic areas. EASY Dayhike: 2.2 miles (2 hours) — 13 miles from Hanover - Holt’s Ledge is a precipitous cliff with fine views to the east. The cliff edge is fenced off not only to protect unaware hikers on foggy days, but also to protect the peregrine falcons who nest on the cliff. Before being protected by the Endangered Species Act, peregrines were driven out of New England by the ravages of DDT, which thinned their egg shells and caused the eggs to break before the chicks were mature enough to survive. Holt’s Ledge was one of the first sites in New Hampshire where peregrines were successfully reintroduced. The gentler northern slope of Holt’s Ledge is home to the Dartmouth Skiway, and also the route of this day hike. Description: Wrights Mountain Trail is a 1.6 mile lightly trafficked out and back trail located near Bradford, Vermont that features a great forest setting. The trail is good for all skill levels and primarily used for hiking, walking, and nature trips. Dogs are also able to use this trail but must be kept on leash. Description: The Balch Hill Natural Area has been a favorite of Hanover residents for its great views, picnicking, walking, and bird watching. Ten trails provide easy to moderate routes to the 937-foot summit. Its diverse communities include a former pasture and apple orchard at the summit, and forests of pine, hardwoods, and hemlock on the slopes. Owned by the Hanover Conservancy, the oldest local land trust in New Hampshire, Balch Hill is one of many trails and natural areas open to public hiking. Description: On paper (aka the map) Mt. Kearsarge in Winslow State Park appears to be an easy, breezy hike perfect for families with young kids. You drive more than halfway up the mountain to reach the trailheads, after all, and there’s a playground adjacent to the parking lot. Description: Sculptured Rocks Natural Area spans 272 acres. Popular activities include exploring the sculpted canyons, picnicking, and hiking. Description: The north peak of Moose Mountain, at 2,300 feet, is the highest point within Hanover’s town boundaries. Where cleared pastures once bordered the summit of this long ridge, now the forest has grown back and returned Moose to its wilder past. 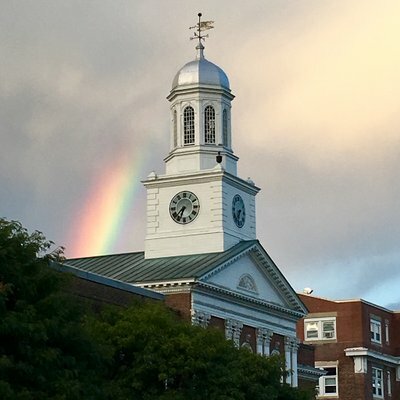 For those whose picture of Hanover is limited to the busy intersection of Main and Wheelock Streets, this hike is an opportunity to see another side of town and to experience the rural landscape of the Upper Valley. Description: Gile Mountain Trail is a 1.3 mile moderately trafficked out and back trail located near Norwich, Vermont that features beautiful wild flowers and is good for all skill levels. The trail offers a number of activity options and is best used from March until October. Dogs are also able to use this trail but must be kept on leash. Description: A two-mile snowshoe hike for all ages. Description: The Upper Valley is full of adventures, and the Upper Valley Quest Book is the ultimate guide. Rocky gorge (between upstream and downstream parcel boundaries, True’s Brook drops some 50 ft. in elevation along 700 linear feet of shoreline with 3 dramatic overlooks); long-popular local swimming hole; varied plants and animals (aquatic, riparian, and upland species share relatively small area). In 1998, local efforts succeeded in City’s acquisition of this parcel; now permanently conserved by easement to Upper Valley Land Trust. Description: Boston Lot is a forested upland area. The Boston Lot Reservoir, (elevation 638 feet) is ringed by ridges. Several small streams flow into the reservoir, and one stream flows from the dam spillway to the Connecticut River. Description: Eshqua Bog is a botanical wonderland of cold-climate holdovers--small pockets of bog plant species and a two acre fen--from the post-glacial era 10,000 years ago. This preserve contains a diverse array of bog and fen plants: labrador tea, cotton grass, pitcher plants, showy lady's slippers, larches and buckbean. Description: In the park boundaries there are over 20 miles of trails (download List of Hikes) available for visitors to explore. The trails crisscross the property through peaceful forests, to spectacular overlooks and historic scenery. The trails can be accessed from the park entrance on Vt. 12 or from the parking lot on Prosper Road. Description: The Appalachian Trail is a 2,180+ mile long public footpath that traverses the scenic, wooded, pastoral, wild, and culturally resonant lands of the Appalachian Mountains. Conceived in 1921, built by private citizens, and completed in 1937, today the trail is managed by the National Park Service, US Forest Service, Appalachian Trail Conservancy, numerous state agencies and thousands of volunteers. Description: Sunapee Harbor has been a mainstay for vacationers since the 1800’s when the sweltering heat of the cities sent vacationers fleeing north by train to enjoy the cool waters of Lake Sunapee. 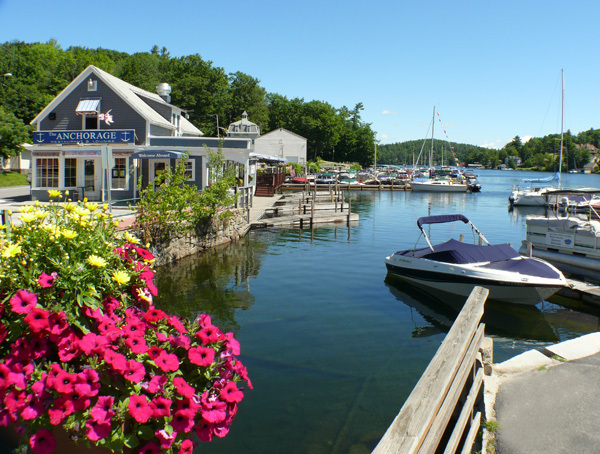 Nestled along the shores of Lake Sunapee in the heart of the Dartmouth/Lake Sunapee Region of New Hampshire, Sunapee Harbor offers boating, kayaking, shopping, waterfront dining, picnicking, fishing, free music, narrated boat tours, ice cream and much more. Description: White River is fairly shallow although rocky with some deep smooth areas with MANY small rapids and ledges along the way. It is rated between Class 1 and 3 according to the Appalachion Canoe and Kayak NH/VT guide. 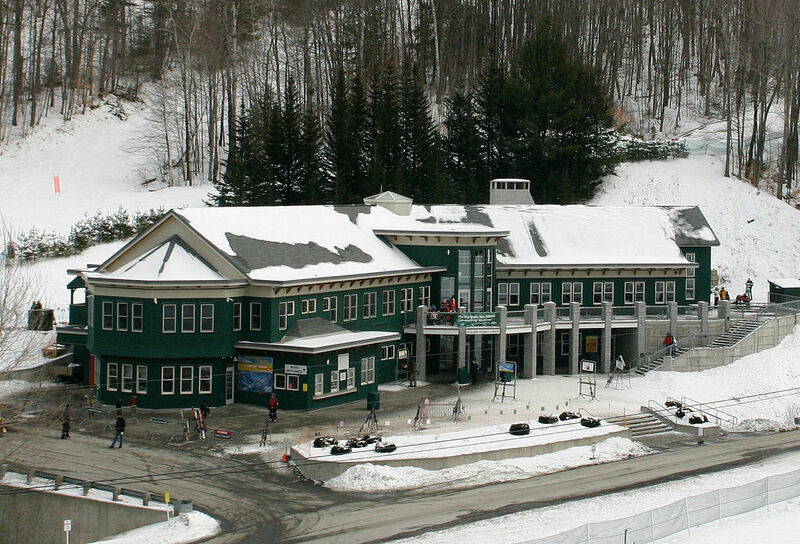 Dartmouth Skiway offers big-mountain challenges in a family-friendly setting with more than 100 ski-able acres spread over two mountains and enough terrain variety to thrill any ski or snowboarding enthusiast. The Skiway has something fun for everyone: a 968-foot vertical drop, full-service day lodge, superb grooming, and exciting terrain features. A special ticket price also means a family can enjoy a weekend of skiing and riding at the Skiway for one great price. Description: Delightful year-round, but known for ice skating and the Winter Carnival in February (weather dependent – the ice has to freeze solid). Description: The Skyline Trail travels a scenic route through rural central Vermont, crossing numerous farms and pasture lands. The official Skyline Trail begins in East Barnard with a two-mile climb which most skiers avoid. Details are available in the Skyline Trail pamphlet, from the Woodstock Touring Center. Description: longest ice skating trail in the US (Fairlee), plus, summetime activity: Treasure Island, canoeing, rowboats, fishing, etc. Description: The Cornish-Windsor Covered Bridge is the longest wooden bridge in the United States and the longest two-span, covered bridge in the world. It is also a classic example of wooden bridge-building in 19th-century America. With copious supplies of timber at hand and a generous reserve of carpentry skills available, bridge builders in early America quickly discarded the masonry arches prevalent in the Old World. Instead, they opted for a revival of timber-truss designs dating from 14th century Europe. Description: Motivating individuals and communities to care for the environment through education, research, and avian wildlife rehabilitation. Discover the home, studios and gardens of Augustus Saint-Gaudens, one of America’s greatest sculptors. See over 100 of his artworks in the galleries and on the grounds, from heroic public monuments to expressive portrait reliefs, and the gold coins which changed the look of American coinage. Enjoy summer concerts, explore nature trails, or indulge your hidden talents during a sculpture class. Description: West Lebanon's mini golf court. Come play the course and enjoy the best ice cream in town. Description: The spectacular LaSalette light festival has been a local tradition since 1954. Annual apple festival. Pick your own. Apple pie contest. Fun for the entire family. ​Description: Circus Smirkus is a nonprofit arts and education organization operating in Greensboro, Vermont. Our mission is to promote the skills, culture and traditions of the traveling circus, and to inspire youth to engage in life-changing adventures in the circus arts. Description: Revels North educates the community through theatrical, dance, and musical experiences that bring the world’s cultural traditions and celebrations to life. 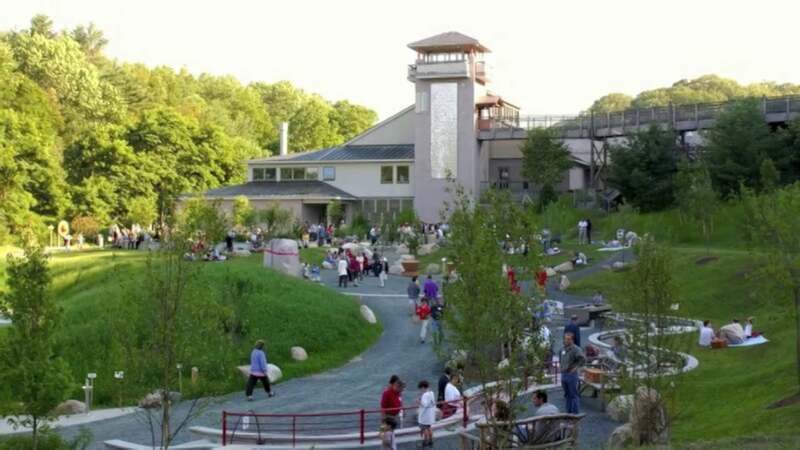 Description: The Montshire Museum of Science is a hands-on museum located in Norwich, Vermont, with more than 140 exhibits relating to the natural and physical sciences, ecology, and technology. The building is located on a 110-acre site near the Connecticut River, and the Museum's outdoor environment is a large part of the visitor experience. Description: The Museum preserves the heritage of the mechanical arts, celebrates the ingenuity of our mechanical forebears, and explores the effects of their work on our everyday lives. The American Precision Museum, housed in the original Robbins & Lawrence Armory, now holds the largest collection of historically significant machine tools in the nation. 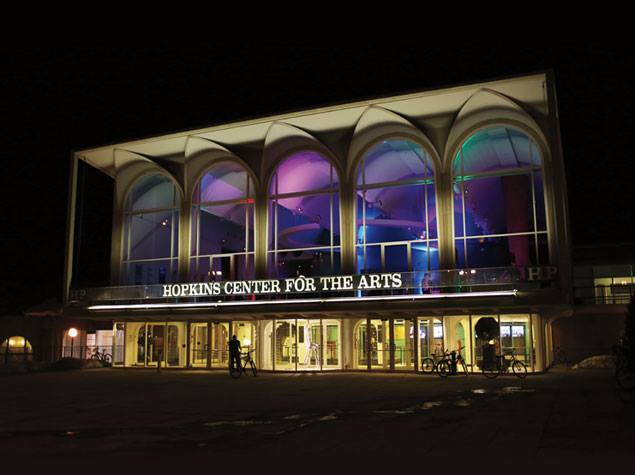 Description: The Hopkins Center’s mission is to ignite and sustain a passion for the arts within Dartmouth and its greater community and to provide the core educational environment for the study, creation and presentation of the arts. Description: The mission of the League is to encourage, nurture, and promote the creation, use and preservation of fine contemporary and traditional craft through the inspiration and education of artists and the broader community. Description: The Nugget Theaters is a movie theater with 4 screens showing first run movies …. Description: We're an employee-owned company, every one of us bakers at heart. Our mission is to inspire connections and community by spreading the joy of baking. Description: As a teaching museum, the Hood Museum of Art is committed to helping all visitors develop visual literacy skills—the ability to construct meaning from what we see. We believe simplicity, quality and artisanship are tenets of a better way of life. From our hand-thrown pottery to our lead-free glassware, each piece carries a story that lends meaning, authenticity and grace to every use. Description: The Main Street Museum is an eclectic display space for material culture and a civic organization in White River Junction, Vermont. Description: Lebanon Opera House is the only community-based theater of its size in west-central New Hampshire and the cultural focal point of the greater Lebanon community. Description: Be a kid again and share your childhood memories with family and friends at The Vermont Toy Museum located inside Quechee Gorge Village shopping complex on the second floor above Cabot cheese. Explore each decade of toys from the 1800's to the present from cast iron, tin, actions figures, Star Wars, Cracker Jack and many of your childhood heroes. Click on the "play" button in the upper left hand corner of Star Trek to view our slideshow. Description: AVA Gallery and Art Center (Alliance for the Visual Arts) is dedicated to promoting the visual arts through exhibitions and educational programs that nurture, support and challenge New England artists, and to providing art classes for children, teens and adults of all levels and abilities. AVA’s programs—including special events that foster interaction among artists, patrons of the arts and the community, and which emphasize sustainability—are dedicated to recognizing the ways in which art enriches our lives. Description: The monumental mural cycle The Epic of American Civilization was painted by Mexican artist José Clemente Orozco between 1932 and 1934 in Baker-Berry Library at Dartmouth College. This national historic landmark is considered one of the finest examples of mural painting in this country by one of the greatest twentieth-century practitioners of public art. Description: The Playhouse presents many musicals and plays each year. In addition, it offers classes and workshops for actors of all ages. Description: A nonprofit theater group that presents both classic plays and works by local artists. Description: See history brought to life through fun events such as reenactments, feasts, and fiddle contests. Description: We are a collection of 8 unique Vermont businesses all located in the same park. We are home to the Harpoon Brewery, Simon Pearce, SILO Distillery, Path of Life Sculpture Garden, Great River Outfitters, Oh! Veggies, Blake Hill Preserves, and Vermont Farmstead Cheese Company Market. Begun in 1936,the Co-Op Food Stores are the oldest food cooperative in the nation. They carry roughly 4,000 products grown, baked, nurtured and delivered from over 300 farmers and food producers from within a 100-mile radius of the Upper Valley. For more than 80 years, the Co-op has maintained a stated commitment to buying locally produced food. With locations in New Hampshire and Vermont, this cooperative generates sales of more than $70 million annually from its three grocery stores, community market and auto service center. Welcome to Dan & Whit's online. We're a true Vermont General Store located on Main Street in Norwich, Vermont. Our goal has always been to provide the daily necessities of our customers here in the Upper Valley area; as well as stocking those items that are requests of our customers. Description: Maple sugar house open house weekend March 23-24 2018. Keep an eye out for each years dates. Description: A classic New England diner for all your breakfast needs. Description: The Christmas Revels, a beloved Upper Valley tradition for the whole family, is presented annually by Revels North at the Hopkins Center for the Arts at Dartmouth College in Hanover, NH. We celebrate the holiday season and the turning of the year with singing, dancing, and traditions that span the centuries and the globe. Description: A cozy diner that features a mini mart for travelers. Description: Come enjoy fresh milk and fun events hosted by the local McNamara farm family. Description: Enjoy various vendors, live music, food, petting zoo, demonstrations, contests, games and exhibits! Description: Farmers markets featuring local produce and other delectables. Description: Come enjoy local goods, antiques, and handmade items sold by local vendors. The Dartmouth Powwow serves as an opportunity for members of both the Dartmouth and Upper Valley communities to observe, participate, and learn from a broad representation of Native American Dances, music, and arts and crafts. 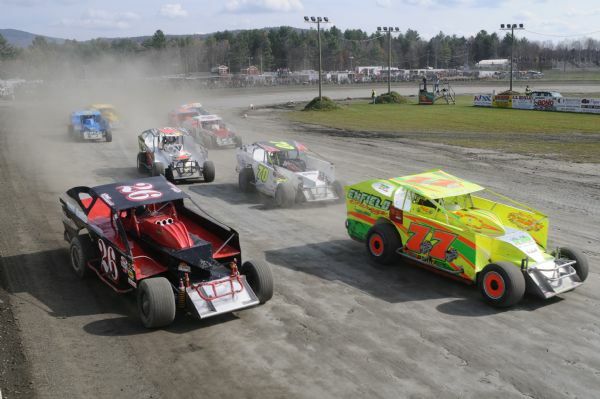 Description: Come watch exciting races, featuring both local competitors and national stars. Description: Come enjoy a wide array of rides and attractions after Labor Day at the fair. Description: The Cornish Fair features live entertainment, rides, fresh food, and other attractions. Description: The Prouty is a sponsored athletic event that raises funds for cancer research. Description: Come relive the high point of the northern railroads. Description: Rides and attractions in Norwich for patrons of all ages. Description: The Fort at No. 4 was once the Northernmost of the Western British colonies. Now, reenactors host tours and events at the settlement. Description: The Upper Valley Aquatic Center is a 501(c) (3) nonprofit organization with a mission to deliver a diverse range of high quality fitness and aquatic programs accessible to all members of the Upper Valley community. Description: Rent a boat from the Ledyard Canoe Club. a café, factory store, production and world class baking school. Do a craft beer tasting at the Norwich Inn’s Jasper Murdock’s Alehouse & Brewery www.norwichinn.com or one of SILO Distillery’s liquors. If looking to learn to cook a new entrée, book a cooking class at the Hanover Consumer Co-Op Culinary Learning Center located in Lebanon, New Hampshire. Using locally sourced ingredients from surrounding farms, learn to cook seasonal specialties from local chefs. Finish your day with a Chef’s Showcase Dinner at PINE Restaurant located at the Hanover Inn in Hanover, New Hampshire. Executive Chef Justin Dain will now showcase his creativity with a weekly three-course, wine paired menu in PINE Restaurant. Offered alongside our popular daily menu offerings, experience this elevated dining experience. Dartmouth College in Hanover, New Hampshire, hosts The Epic of American Civilization, an extensive mural cycle created by Mexican artist José Clemente Orozco between 1932 and 1934. 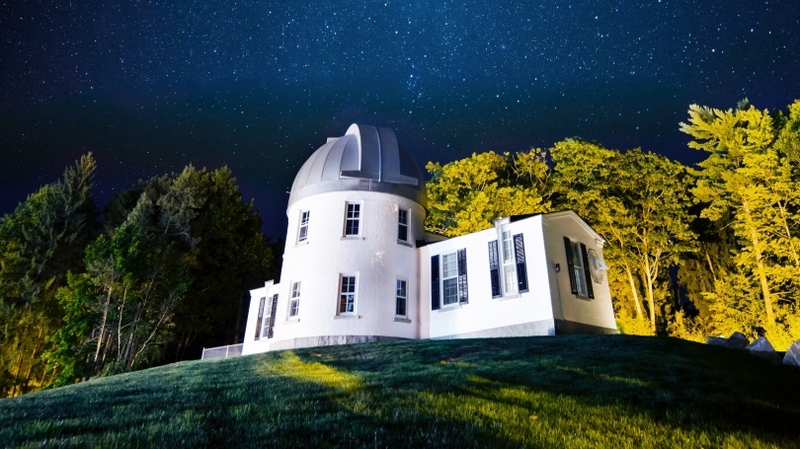 One of Orozco’s finest creations and one of Dartmouth’s most treasured works, it was designated a national historic landmark in 2013. Housed in Baker Library at the center of Dartmouth’s campus, visitors may view the murals whenever the Orozco Room is open. Continue your tour of Dartmouth College’s extensive art collections by touring Hood Museum, located at 6 East Wheelock Street, Hanover and 53 South Main Street, Hanover, the Hood Museum has works by Rembrandt van Rijn, Francisco Goya, Pablo Picasso, Mark Rothko, Georgia O’Keeffe, Richard Serra, Andy Warhol, and Frank Stella, as well as extensive Native American holdings—nearly 7,000 objects—ranging from archaeological materials to 19th century beadwork to hundreds of items created by contemporary Native American artists. Continue your tour in Hanover with a visit to the League of New Hampshire Gallery Store. The League Gallery store sells inspiring work by over 250 local, juried craftspeople in ceramics, jewelry, wearable art and home décor. Want to create your own art? Book a class at the League and learn to create your own masterpiece in a variety of media from jewelry making to fiber art, clay, metal or wood. AVA Gallery in nearby Lebanon, New Hampshire, has an edgy loft vibe in a downtown setting. The main building was built in 1890 and houses the main galleries as well as classrooms. Visitors can tour the galleries and view works by local artists. Check AVA’s schedule online for their periodic talks with the artist as well as a class schedule. Classes range from painting and fine arts, to sculpture, stone carving and wood working. Lebanon Opera House, a historic 800-seat performing arts center, is the largest proscenium theater in the Upper Valley. Located in downtown Lebanon, performances range from small theater productions, opera, ballet, comedy nights to concerts by well-known artists. Northern Stage is a regional non-profit Actors’ Equity LORT-D professional theater in White River Junction, Vermont. Northern Stage is a regional non-profit Actors’ Equity LORT-D professional theater in White River Junction, Vermont. The company offers 6 full productions from September to May. Operating under a LORT-D contract with Actors’ Equity, Northern Stage draws talent from the region and across the country, including many with Broadway, Regional Theater, and National Tour credits. Seasons include comedies, dramas, musicals from the classic cannon, new shows fresh from Broadway and London’s West End, and world premiere productions. The Hopkins Center for the Performing Arts at Dartmouth College include the 900-seat Spaulding Auditorium, the 480-seat Moore Theater, the Warner Bentley Theater, a flexible “black box” space with up to 180 seats. The Hop, as it is affectionately known by the locals, has over 100 or more live performances in virtually all genres of music, theater and dance, plus well over 200 film screenings and other events. In September, the Hop hosts “Telluride at Dartmouth” Film Festival, bringing films from the world famous Telluride Film Festival. Opera North is the premier professional summer music festival of the Upper Valley. Founded in 1982 and based in Lebanon, NH, it is the only full-time professional opera company serving the tri-state region of New Hampshire, Vermont and Maine. Throughout its history, Opera North has focused on bringing classic musical theatre – in a myriad of styles – to the region, working with noted international artists, designers and directors. The Upper Valley is a mecca for outdoor adventures in every season. From sunset cruises on Lake Sunapee to kayaking on the Connecticut River or in the many lakes and many other outdoor activities. Try something new and exciting by taking a tour on a Segway with Quechee Segway Tours. Young and old can Segway! 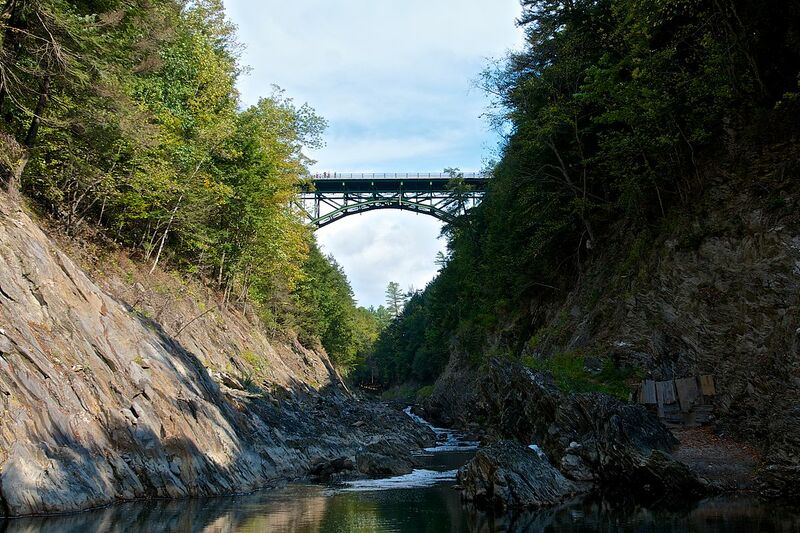 Tours start in Quechee Gorge Village, an artisan village and shopping destination, and follow the trails along the famous Quechee Gorge, an 165 foot waterfall and natural feature. Experience the fun of a scenic daytime cruise on Lake Sunapee aboard the MV MT Sunapee II or enjoy an evening dinner cruise aboard the MV Kearsarge Restaurant Ship. Come aboard, relax, enjoy the wonderful New Hampshire scenery. Settle into your deck chair or ease back at your table and listen as the Captain narrates the history, lore and points of interest of this beautiful pristine mountain lake. Book an adventure at the LL Bean Outdoor Discovery Center in Lebanon. Learn to kayak, fish, stand up paddle board, outdoor skills, archery and many more outdoor sports. Hike one of the beautiful and scenic trails that abound in the Upper Valley. From Mt. Cardigan in Orange, NH to the numerous trails of the Hanover Conservancy and Upper Valley Land Trust, there are trails for every skill level.